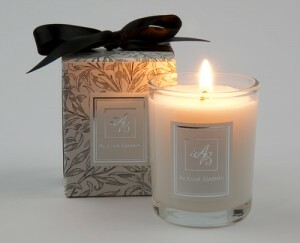 I use candles at most of my weddings and like to use scented ones in lounge areas so i was intrigued when contacted by Alesia from Alesia Barry Candles. They specialise in two main product types – scented container candles for wedding tables and favours and pillar candles for wedding centrepieces. The container candles are all subtly fragranced and the pillar candles are tastefully decorated using Swarovski Crystal Elements. 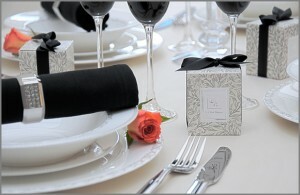 The candles are then finished off with a choice of ribbon which can be tailored to match the chosen wedding theme colour. 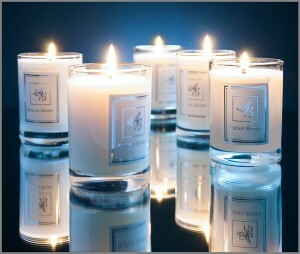 They use up to 7% of fragrance in the candles and are delicately scented so as not to be too over powering at a venue. As a lover of scented candles I was sent their English Rose candle to see for myself if it burnt evenly and released the fragrance sufficiently. I can honestly say I was very impressed with the clean design of the candle but also the pretty fragrance it released. Do pop along to her website, is there a fragrance that will suit your wedding?